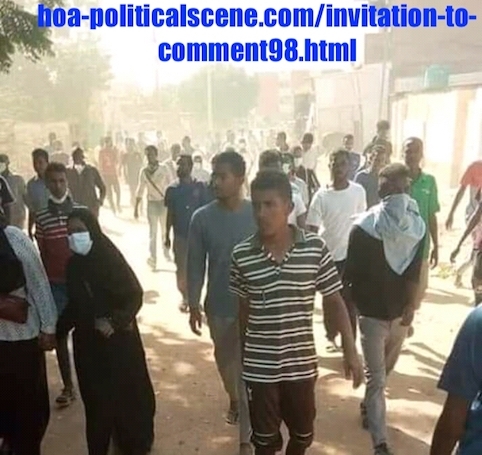 Invitation to Comment 98: Sudanese Prisoners of Conscience, January 2019 Intifada, 337. 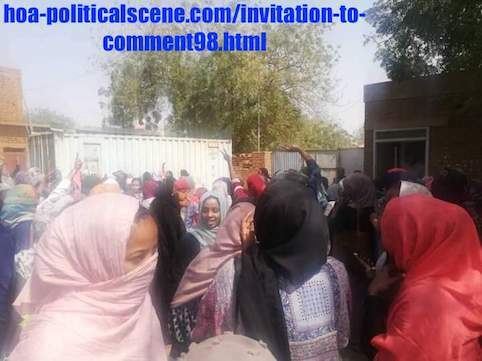 Invitation to Comment 98: Sudanese Prisoners of Conscience, January 2019 Revolution, 338. 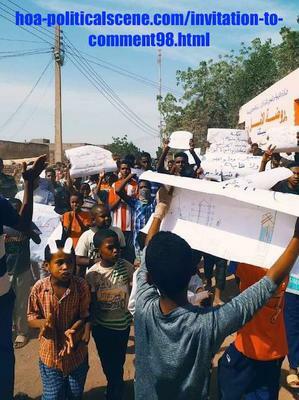 Invitation to Comment 98: Sudanese Prisoners of Conscience, January 2019 Protests, 339. 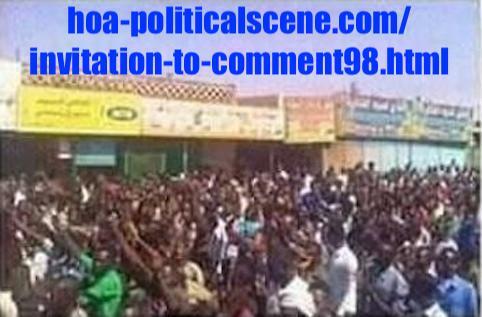 Invitation to Comment 98: Sudanese Prisoners of Conscience, January 2019 Uprising, 340. 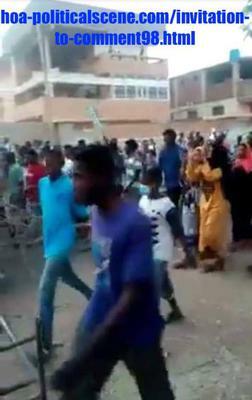 انظر اسماء الطلاب المعتقلين من مدينة سنار علي صفحة About the Sudanese intifada from December 2018 to January 2019! 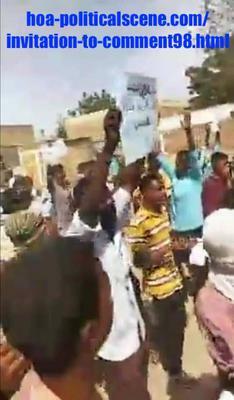 حول الثورة السودانية الممتدة من ديسمبر ٢٠١٨م الي يناير ٢٠١٩م. 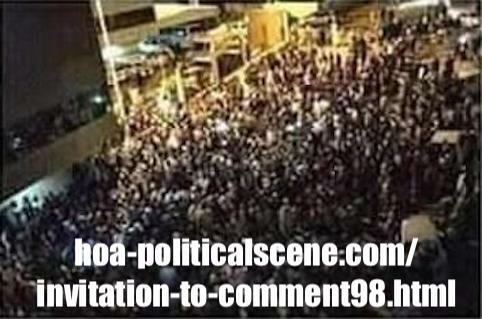 hoa-politicalscene.com/invitation-to-comment98.html: Sudanese prisoners of conscience during December 2018-January 2019 intifada! المعتقلون السياسيون السودانيون أثناء إنتفاضة ديسمبر ٢٠١٨م - يناير ٢٠١٩م. * You are at Invitation to Comment 98: Sudanese prisoners of conscience in context of December 2018-January 2019 intifada! 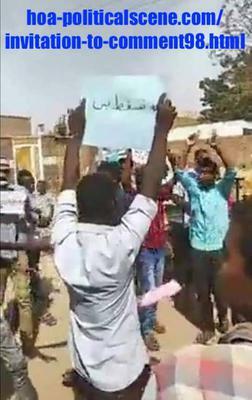 المعتقلون السياسيون السودانيون في إطار إنتفاضة ديسمبر ٢٠١٨م - يناير ٢٠١٩م.